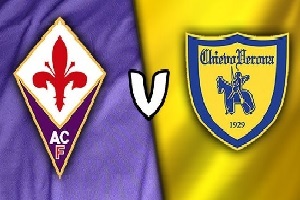 This is the last round in Serie A.
Fiorentina is facing Chievo in this Sunday game. It is going to be very important one for the home team because they can shift Napoli from the 4th place. In case they lose this game their place can be overtaken by Genoa. That for sure will be a good motivation to give their best. Fiorentina has four straight wins and is very good home team. Chievo on the other hand is taking the 14th place with 43 points far from the relegation zone and even further from any tournament. The season for them is over so they are not going to be as motivated as the home team. The odds for home win are very low, so half time / full time win for Fiorentina is probably the best option in this game. And the odds are really good for this particular type of bet.